Terry Campbell, A professor at the Kaplan University School of Public Safety, just posted an article on Corrections.com about the big issues facing juvenile justice in 2013. In it, he denotes the five areas of emphasis for the coming year: fiscal considerations; juvenile sentencing; mental health and juveniles; juveniles and adult courts; and lesbian, gay, bisexual, transgender, and intersex (LGBTI) youth. These are all topics we have tried to shine a light on with this blog, so it’s gratifying to see them acknowledged on a website that has evolved into “the single most recognizable brand online for the global community of corrections.” Hopefully it will create more awareness of these issues with the professional corrections community. I shared with you some juvenile critical areas facing us in 2013. These selections are my opinions and views for each area. 2013 will continue to be an interesting year related to juvenile offenders. Agencies must be creative in still meeting offender needs while competing for dollars. According to fiscal managers, we still face a tough budget year ahead of us. The old adage; “Make do with less and continue services,” is present. From this administrators and staff are becoming stressed and pressured to provide services while maintaining safety and security. The last thing we need is a reduction in staff, yet some states are experiencing this. We want to continue and focus on rehabilitation and recidivism. Yet, at the same time we must note: “Until offenders are willing to accept the responsibilities and consequences for their own actions, change is not going to occur.” (Campbell). The programs, mentoring, reinforcement, and support must continue to be provided in an attempt for some of these juveniles to change. This is one of the last opportunities for youth to make a change before entering the big house. Are we going to save all? No. Can we save some and make a difference in some young lives? Yes. The dedication, professionalism of staff, and desire to assist these offenders are crucial. When we look at where some of these offenders came from and obstacles faced, it is truly amazing some are able to change. We cannot overlook that trust and respect are major components and not easily obtained. Many of our youth are able to make the necessary adjustments to turn their lives around while others continue to struggle and get caught in the revolving door. 2013 will be an interesting year. There is no program or group of programs that can act as a panacea. That doesn’t mean the programs are worthless. Nothing in real life is one hundred percent. By the same token, proper rehabilitative approaches, combined with family or community support, can improve the lot of many– probably a majority– of cases. Personally, I am very excited to see these topics brought forth on a website that ranks number one on Alexa and is in the top three Google results for “corrections”. With 2.5 million page views per month, they can do a far better job of getting these ideas across to decision makers and those who work in corrections-related jobs. Let us hope that these areas see greater attention in the coming year, rather than being sidelined by short term fiscal maneuvering. There is a very interesting study that was recently released in Canada. 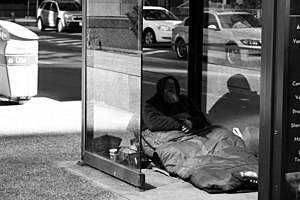 The findings may provide some insight into the issues of homelessness we face here in the US. The substantive report (150 pages of it) analyzed the costs of homelessness, including oft-forgotten peripherals like emergency medical expenses and policing. It then compared them to the cost of implementing services and programs designed to combat the problem. 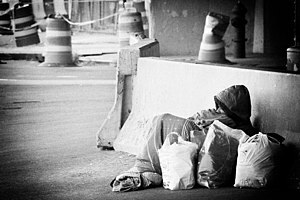 The estimated annual cost of $55,000 per homeless person takes into consideration the high risk of infectious diseases. The study says some individuals can be slow to accept treatment because they don’t recognize their mental illness, and may circulate through the court system because of a need to get drugs and food. The study argues that if housing and support were offered to these people, it would cost the system much less – just $37,000 a year. The report calculated that a capital investment of $784 million is needed to provide adequate housing to the 11,750 homeless people, and a further $148 million per year is required for housing-related support services. But the study argues that after removing what the province is paying for health care, jail and shelters, and by spreading the capital costs out over several years, taxpayers could ultimately stand to save nearly $33 million annually. The interesting part is how well these findings complement the research already done on juvenile incarceration and the incarceration of women. In our documentary, It’s More Expensive to Do Nothing, we examined the fiscal and societal gains that can be attained by implementing rehabilitative programs. They are substantive and invite and obvious parallel to the Canadian study’s findings on homelessness. I don’t know of any studies of this nature going on stateside, but it might be worthwhile to encourage it. Our own look at similar fiscal waste, and the human impact it has, was presented in the documentary It’s More Expensive to Do Nothing. Coming to Chicago in September and October Roosevelt University, in conjunction with the Mansfield Institute for Social Justice and Transformation, will be kicking off a fascinating and educational series of discussions centered around the topic of youth detention and incarceration. It all starts on the 26th of September with a volley of personal narratives. Those of you who follow our work already know the importance we attach to these personal stories. They are the most effective way to re-humanize those on the borders of society. It is a lot harder to ignore a statistic once you’ve met the person represented by the numbers. While none of our team will be able to make it to the Windy City, we do encourage any of you within range to do so. It looks like quite an array of programming! So, without further ado, here is their writeup on what you can expect. If any of you, our readers, make it to the series, we would love to hear about the experience! Learn from youth about what life in confinement is like and how this experience, and other levels of connection with the juvenile justice system, has impacted their lives. Listen to youth tell stories of their encounters with the police, and then join the dialogues about alternatives to policing as a way to reduce violence and crime. Thursday, October 4, 5:30 p.m. Alternatives to juvenile detention and incarceration: Can we succeed? What will it take? What community-based alternatives exist now? How are youth referred to these programs? Are they designed to educate, rehabilitate and address the needs of youth who have drug dependencies, disabilities, mental health or trauma issues? Are there enough housing facilities and programs available to youths with criminal records? Tuesday, October 23, 5:30 p.m. Youth with disabilities comprise 30 to 80 percent of youth caught up in the juvenile justice system. How can we ensure youth are getting the services they need to succeed in school and beyond? Thursday, November 8, 5:30 p.m.
What services are available to youth when they are released? Is there adequate support for them to complete their education, receive expungement guidance, housing, counseling and other necessary services to ensure they are successful and don’t recidivate? Tuesday, December 4, 5:30 p.m.
Judge Michael Tynan’s fourth-floor courtroom in downtown L.A.’s Criminal Courts building is in our spotlight today. It’s a room that’s usually packed with people that are often discarded by society: the addicts, the mentally ill or disadvantaged, the homeless, and, more recently, the female parolees. The Los Angeles County Superior Court judge oversees a number of programs known as collaborative or problem-solving courts, designed to address the underlying issues — addictions, mental health, poverty — that lead to repeated arrests and prison terms. For this, we applaud Judge Tynan. One of the biggest flaws of the current system is that it’s like an over-the-counter medicine that treats the symptoms but often not the ailment itself. This pattern of issues has an amazing impact on the lives of those who experience them firsthand, almost always to their own detriment as well as the society’s. Tynan has a solid understanding of this, and has steadily worked to address these social ills. Since 2007, Tynan has been running the Second Chance Women’s Re-entry Court program, one of the first in the nation to focus on women in the criminal justice system. Through the court, women facing a return to state prison for nonviolent felonies plead guilty to their crimes and enter treatment instead. Although women make up only a small fraction of prison inmates, their numbers have been climbing for decades at a far steeper rate than men’s. Women are also more likely to be convicted of nonviolent drug or property crimes motivated by addictions or necessity. As a publisher, we have examined these underlying factors and their influence on the individual and on society. Our award-winning documentary, It’s More Expensive to Do Nothing, addresses them, and looks at both the social and financial cost of not going after the root causes. Tynan’s work is yet another proof that our assertions are correct. The women in this program are housed in a Pomona drug treatment facility for women called Prototypes. If accepted, the women live there for six months while their schedules are filled with job-skills classes, therapy, support-group meetings, and chores. Incarcerated mothers and their children are reunited, and the mothers both undergo counseling and attend parenting classes. Pretty comprehensive, isn’t it? The treatment, currently funded through a grant from the California Department of Corrections and Rehabilitation and donated services from Prototypes, costs about $18,000 for each woman per year. But compared with keeping them in prison and their children in foster care for years, the state is saving millions of dollars, the program’s organizers say. All of our studies indicate that this is not a fluke, but rather is representative of the savings that can generally be attained once a more proactive social stance is adopted. In short, if we fix the societal ills that lead to incarceration or recidivism directly, it will have more impact for less monetary expenditure than simple imprisonment. Remember, it really is more expensive to do nothing! It was not all that long ago that we wrote about a census of the homeless being undertaken in downtown San Diego, a census that just might inspire a similar effort in the city’s Uptown area. Today, we would like to revisit that topic by calling your attention to a wonderful piece written by Kelly Davis in the San Diego City Beat. It’s not like San Diego doesn’t know how to be innovative. 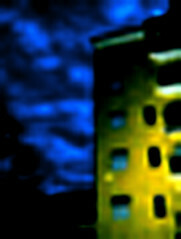 In the late ’90s, three programs started here that are held up as models nationwide: homeless court, designed to deal with the unique problems of homelessness in the criminal justice system; Stand Down, the annual weekend-long event that provides shelter and services to homeless vets; and the San Diego Police Department’s Serial Inebriate Program, which offers the option of treatment rather than jail time to homeless chronic alcoholics. But when it comes to providing housing and shelter, San Diego has lagged. While the survey that Common Ground helped organize here — and in roughly three-dozen other cities — has a goal of breaking down the problem into manageable sets of data (finding out, for instance, the number of homeless seniors who might qualify for housing vouchers), it’s also an attempt to put names, faces and stories to homelessness. And that is really the key, is it not? To re-humanize the people who have been objectified and forgotten by society as a whole. Of course, that is only one aspect of the effort being undertaken both by that group, and the others. Davis’ recounting of an encounter with a homeless woman known only as “Sonya” points out one large gap that even this approach has yet to close. Obviously mentally ill, Sonya had trouble answering even the most rudimentary questions and has declined to take part in the survey. Becky Kanis, director of innovations for the New York-based housing and social-services provider Common Ground, who was in San Diego for the survey, states that it is people like Sonya, who decline to participate in the census, are in jeopardy the most. We have yet to find a way to address that gap, but, as with all things, we must approach this one step at a time. 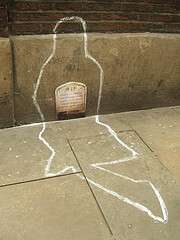 Image by Matt From London, used under its Creative Commons license.